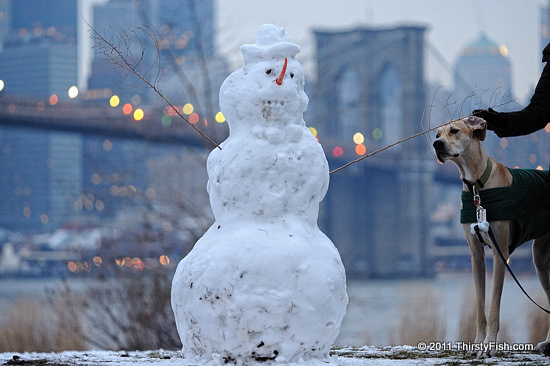 While being walked, this dog spotted the snowman, walked around it a couple of times and seemed to try to make sense of it. Was it more than just dog-curiosity? It is not clear if dogs actually reason or have a consciousness, but I would not be surprised if we find that they actually do. You can read about some of the research interests on Animal Cognition on the Wikipedia site.